“On behalf of the Federal Government, I tender the nation’s apology to the family of Late MKO Abiola, who got the highest votes and to those that lost their loved ones in the cause of June 12 struggle.” This, for me, was the most emotional part of President Buhari’s speech on June 12. I could only imagine what was going through the minds of the members of Chief M.K.O Abiola’s family, and all those who were involved in the June 12 struggle, at that time. Because of June 12, lives were lost, families were destroyed, livelihoods were ruptured, and incurable wounds were inflicted. I am moved that at long last, June 12 finally takes its rightful place in Nigeria’s history. I wasn’t born when the historic election took place, and even when Abiola died in 1998, I was barely old enough to be conscious of political occurrences. However, from accounts of history, I have come to understand the symbolic significance of June 12, 1993. Analyzed on their own, the recognition of June 12 as Democracy Day and the award of national honours to Chief M.K.O Abiola and Chief Gani Fawehinmi would rank jointly as one of the three top achievements of the erstwhile under-performing Buhari administration. I can’t even believe that there can be any ground to fault what Mr President has done as regards June 12. The June 12 struggle is so emblematic of Nigerian democracy that whatever motive behind its recognition is irrelevant. Buhari will forever be remembered as the man that etched June 12 into the official annals of Nigerian history. Muhammadu Buhari, Nigeria’s President and Late M.KO. Abiola. On the flip side, it is important that beyond the recognition of June 12, the current administration should uphold what the struggle stood for; human rights and social justice. It is interesting and commendable that Prof. Wole Soyinka and Femi Falana were invited to speak at the investiture event. Most ironic was how chronic supporters and chronic opponents of the Buhari administration reacted to their speeches. The “hailers” promptly took snippets where these two came across as praising the government, and posted them as validation of the success of the Buhari government. The “wailers” on the other hand culled the parts where the duo were critical of the government and shared them as evidence of Buhari’s underperformance. Most weird again is the fact that the SDP, which is supposed to be a reincarnation of the old SDP, has already sought the blessings and support of Ibrahim Babangida, the man who annulled the June 12 election. I have tried so hard, but I just can’t process this. In the past one month, I have had two schadenfreude moments; the sentencing of Jolly Nyame and that of Joshua Dariye to 14 years imprisonment each, without the option of a fine. It was so bad that at some point, I was questioning my sanity. However, I have no iota of pity for them. I had thought that the defection of both of them to the ruling APC would bring an abrupt end to their cases. Alas, I was wrong! May be because they aren’t really close to the president? I really don’t care, as prior to the duo, no former governor had been jailed in Nigeria. I only hope these incidents trigger future convictions. The way the cases against Babachir Lawal and AbdulRasheed Maina pan out will ultimately validate the sincerity of Buhari’s war against corruption. It really came as a shock that after running from court to court for 11 years, they finally got sentenced. I really hope the appeals (if any) will not go south. It is important for justice that “big men” who commit crimes face the consequences. This brings to the fore the inefficiencies in our judicial system and perhaps the potency of the prosecution powers of the EFCC. The best thing that can happen to Nigeria is for its citizens to declare en masse that enough is enough and take their country back via the polls. In the least, a statement needs to be made. The big boys (PDP, APC, and whatever variant results from these two) need to realize that they can be upended. The possibility is slim however, as even a unity of third force movements (if that happens) may not be able to defeat PDP and APC (and their offshoots). 2023 appears more feasible in my opinion. A strategy that I believe is more workable in the short run is to push to elect sane minds into the legislature. Compared to taking the executive back, I reckon that it is much easier to take the legislature back. With as little as 100,000 votes, many legislators, alongside their parties, can be booted out of the “hallowed” chambers! Beyond elections, it is simplistic to implore citizens to get their PVCs and wait every four years to get a chance to redefine their “future”. The clamour for good governance goes beyond voting at elections. It is also about demanding from your representative in the legislature, how constituency allowances are utilized. It is about scrutinizing budgetary processes and allocations. It is about pushing for institutional reforms, respect for human rights and the rule of law. Invariably, it is about pushing government at all levels to be more accountable and transparent. 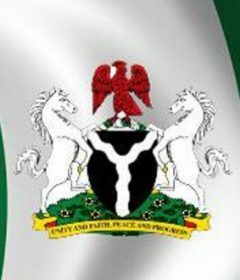 As for the Nigerian youths, we should know it amounts to sheer stupidity to hurl insults, cut friendship ties, or fight and kill each other over politics. Politicians have a way of mending their fences when it matters. Do not allow yourselves to be used as tools of destruction! Need I say that again? In a normal clime, an innocent man will feel at peace upon sighting a police officer. In Nigeria, things are completely different. The sooner the SARS unit and the entire police force are reformed, the better for Nigerians. SARS has officially become the terrorist arm of the Nigeria Police Force! They harass, extort, and assault Nigerians at will. Why will a police officer seize your phone, check your bank balance, and force you to withdraw cash or transfer to their account? Why will a policeman arrest you for nothing, assault you, and force your relations to pay thousands to bail you? While the PCRRU has been quite effective, the kind of reforms needed are beyond lodging complaints. Many people have been “wasted” and left with woeful memories by these terrorists in the name of combatting crime. Something wholesome and drastic needs to be done. I wouldn’t call for the end of SARS. I would rather call for a massive and comprehensive reform. Sadly, it may take a BBC or CNN documentary to elicit drastic action from government over this menace. Ultimately, the change we seek may not come from any government. It starts with you!